Get a professional faucet repair by Clovis Plumbing Services! Mon - Fri 7 a.m. to 5 p.m.
Offer applies to the repair of a kitchen, lavatory or laundry faucet. Are your original faucets still in top condition? If not, do they need to be repaired or replaced already? Before you repair or replace your faucet, you must first identify your faucet type. It is important that you know what types of faucets you are using at home, eg. Ball faucet, disc faucet, cartridge or compression faucet. The first three types are generally referred to as "washer-free faucet" because they do not use neoprene or rubber washer. The compression type of faucet, on the other hand, is the basic faucet used in most households. A ball faucet is the first types of "washerless faucet". These are commonly used in kitchen sinks and usually include a single handle that moves over a cap that is shaped like a rounded ball just above the base of the spout. However, the use of ball faucet has a great disadvantage. They tend to leak more than other fittings. If the ball faucet is the first types of "washerless faucets", then the disc faucet are the latest types. You can easily recognize these types by seeing the single lever above the cylindrical body. These usually include two ceramic discs housed in a wide cartridge that slide over each other to control the flow of water and to mix the temperature. Unlike ball faucet, however, they are reliable and do not leak often. These types of faucets use a movable handle cartridge that moves up and down to regulate water flow. You can not identify them by how they look but how they feel when they operate. Unlike ball faucet, cartridge faucets operate in an up and down motion to adjust the volume of water and left and right movement to adjust the temperature. If the disc faucet is the latest types, the compression faucets are the opposite, since they are the oldest types of taps. You can recognize these types when you see hot and cold water grips. To close the water flow, you need to tighten the handles. These are different from the cartridge faucet because you must tighten or compress the washer to close the water flow while in the cartridge faucet, you don’t have to put added pressure just to turn it off. Professionalism in their plumbing service. They can help with your entire faucet installation. Helpful advice on elegant look and design in order to exhibit the latest fashion trends. Superior quality workmanship and excellent customer service. 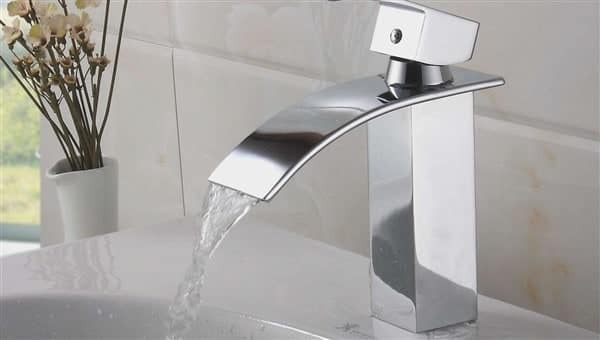 Basic repairs of home faucets to help save you time and money. A leaky faucet is the most common plumbing problem as well as the easiest to repair. Most people neglect to have this minor problem repaired. A leaky faucet can waste more than $20 a month on top of your monthly bill and is caused by seepage from the water supply. The water supply runs under pressure. A watertight seal holds back the oncoming pressure when the faucet is in the off position. A washer is used to keep the seal watertight. To stop the leak you have to replace the washer or repair the seal. 1st thing you need to do is shut off the water supply. Either by turning the water supply off at a shutoff or by going to the main shutoff. To disassemble a compression type faucet and stop a leak you must follow 3 steps. You must shut off the water supply, and remove faucet from the main body by unscrewing the screws attaching the faucet. You may need lubrication such as WD-40 to loosen the top-mounted handle screw. After unscrewing and detaching, remove the faucet handle. Disassemble the packing nut with wrench or pliers. Make sure not to strip the metal. Remove the screw which holds the washer in place. Use oil if needed to loosen the screw. Replace the screw if it is damaged. Faucets can be incredibly noisy as well as totally annoying when turning them on or off. If your house is newly built, the pipes may be too small to allow water to pass through properly. In older houses, the pipes can become restricted causing a noisy faucet. You may need to replace the pipes to stop the noise. In most cases, the noise is caused by a washer that is either too big or too small. Replacing or tightening it should eliminate the noise. No matter what design or feature you are searching for your fresh faucet, they can help source, supply as well as install it with high attentiveness and integrity. From the latest in features to traditional faucet designs, they can locate and skillfully install them with complete reliability and workmanship. Only they can connect to plumbing lines with accuracy and find the best locations to make sure that there are no problems with the installation. An experienced plumbing technician can insulate the piping and also fix other problems related to plumbing in a superior and comfortable manner. They can install leak detection devices in order to minimize water damage. They not only help in the installation of faucets but also carry out other plumbing tasks in a professional manner. One of the most common faucet repair issues that homeowner’s struggle with is that a dripping faucet can lead to the huge wastage of water as high as 20 gallons per day, not to mention unnecessary and completely avoidable high water bills. If you have been worrying about the mounting waste of water and incredibly high bills, we at Clovis Plumbing Services provide effective solutions for dripping and leaking faucet repair. Our technicians and home repair experts are fully equipped with the required tools to inspect the area and dripping faucet, and fix the problem permanently. A properly working faucet will not only keep your house tidy and clean but also help in the huge cost saving. Our lead plumber at Clovis Plumbing Services has been in the plumbing industry for nearly 30 years. We have a proven track record and expertise in the faucet repair and installation services. Our technicians understand the various aspects of the functioning of the faucet and different methods used for faucet repair. Fixing the shutoff valve to stop leakages: Leaks in any form can play havoc in the routine life. Clovis plumbing Services have the expertise of replacing the rings used in the faucet or any other faulty part for smooth functioning. Replacement of the old compression-style faucet to a modern disc-style one: Our technicians are well-trained in the replacement of the old faucets with the latest designs and technology based newer faucets. Faucet installation: With many years of experience in the plumbing industry, we do all the faucet installation work along with faucet repair. Fixing water pressure loss issues: One of the issues with the faucets is the sudden drop of the water pressure due to many reasons including the accumulation of mineral deposits inside the faucet. We are equipped to clean the areas where these deposits stick. Fixing other issues including rusting: Rusting and the general wear and tear could also lead to the non-functioning of the faucet needing the professional help. At Clovis Plumbing Services, we understand the value of time and money. And that is why we have mastered the art of faucet installation and faucet repair to perfection. Need a kitchen faucet installation?